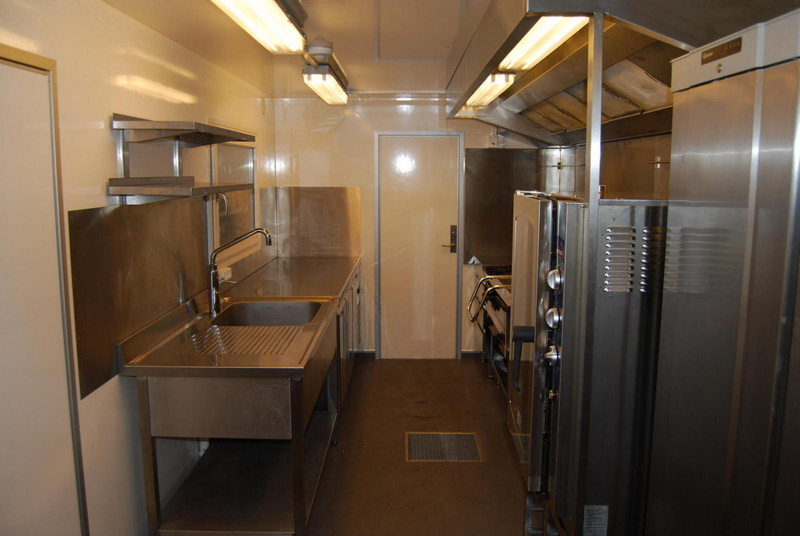 Mobile kitchen model B is a lightweight kitchen unit with a capacity of up to 450 covers at a time. 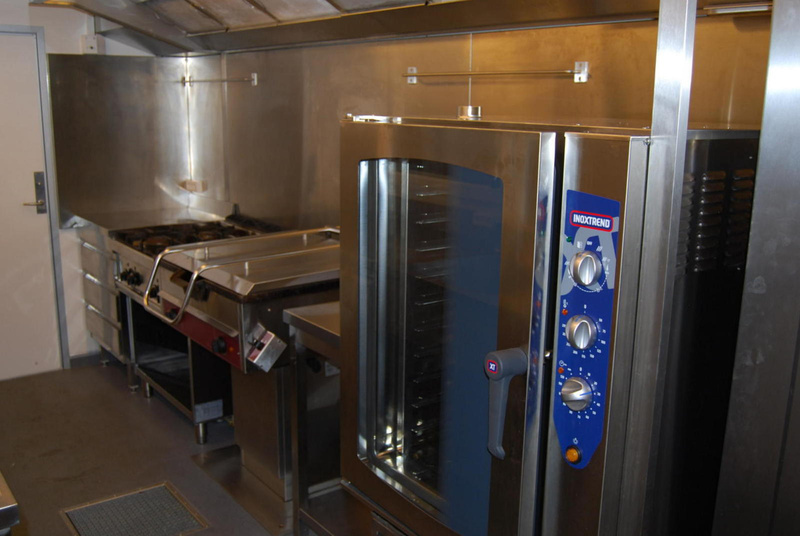 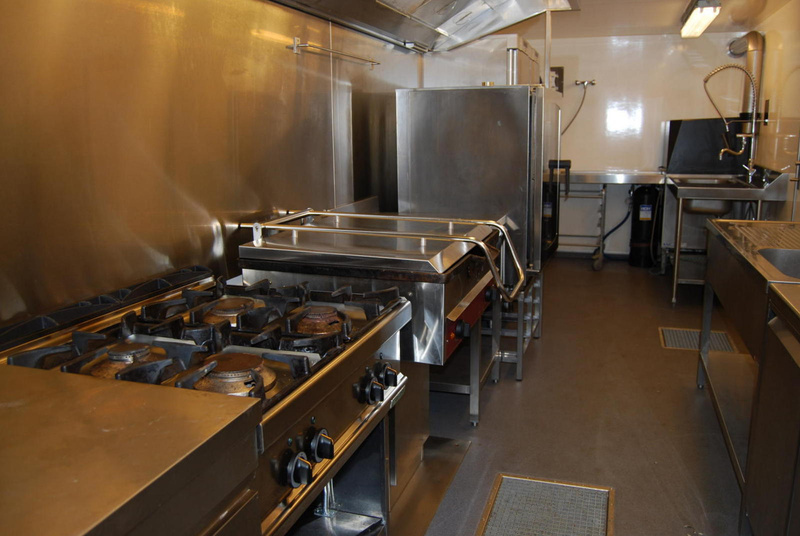 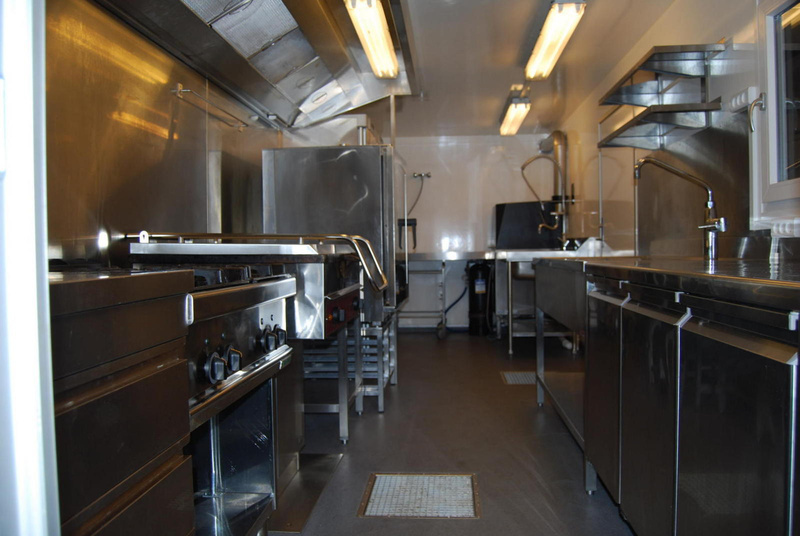 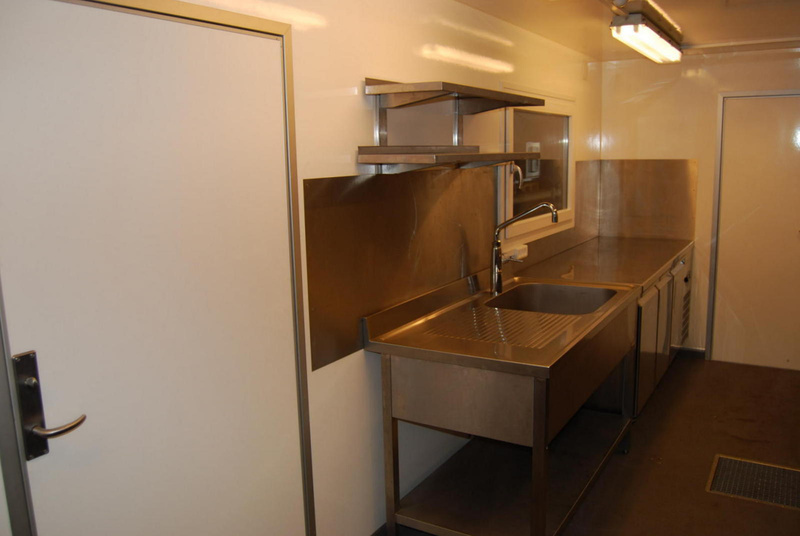 It is a highly well-functioning unit with a production area, green area and a washing up area with a draining table. 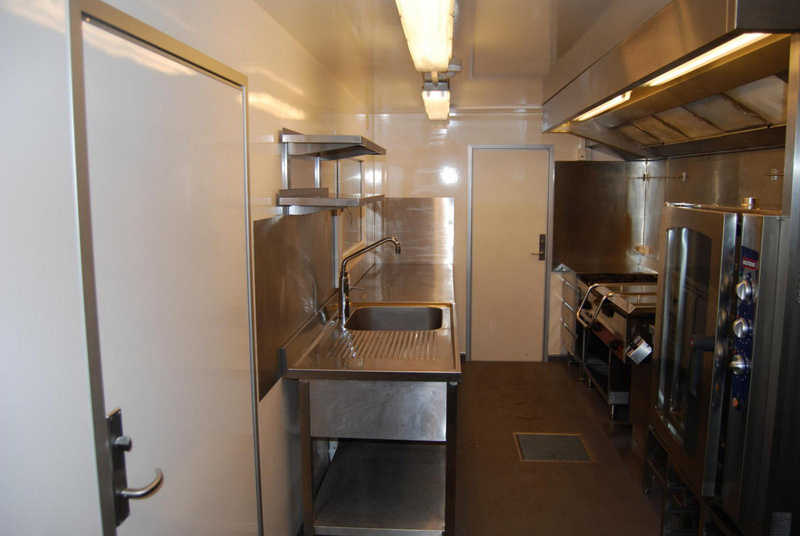 The unit is easily accessed with doors to both the front and side. 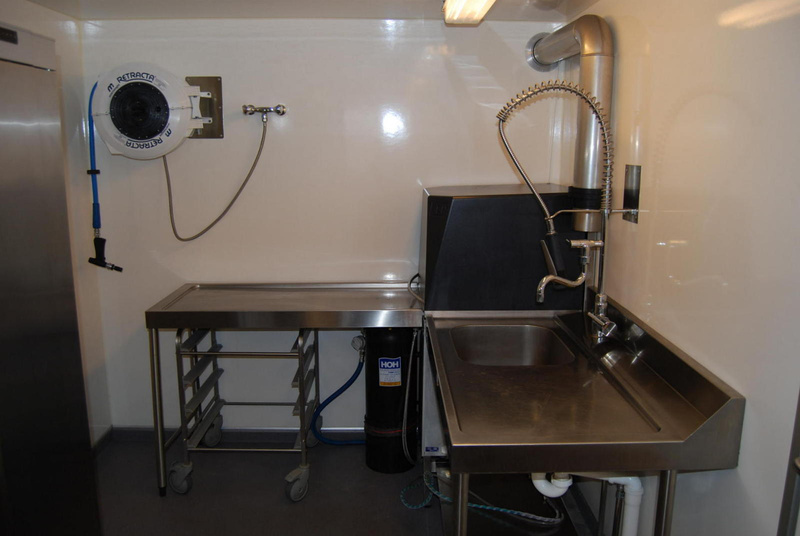 The window in the top left corner makes the unit a bright and welcoming workplace. 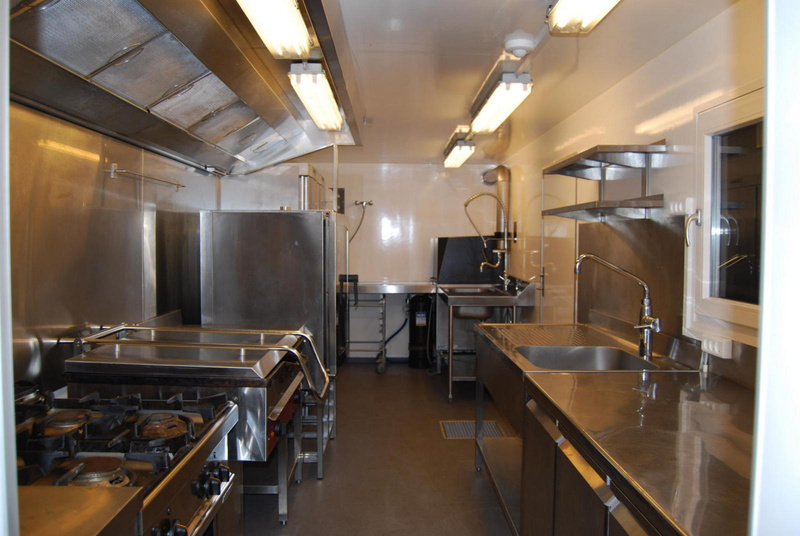 A production tent can be added (9 x 3-6-12m) with solid flooring, where it is possible to set up tables, a sink with hot/cold water and a drain.